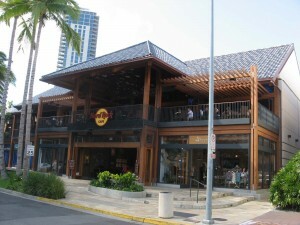 280 Beach Walk, the recently opened 34,500 square foot retail development in Waikiki has officially received LEED® (Leadership in Energy and Environmental Design) certification making it the first retail complex in Waikiki to be recognized by the US Green Building Council under the Shell and Core rating system. 280 Beach Walk retail complex developers are First Round Pacific LLC in partnership with the Honu Group, Inc. CBRE is the managing agent for the developers. The Hard Rock Café occupies a total of 12,697 square feet including the 2,579 square foot ground floor space occupied by Hard Rock Café’s Rock Shop. 24 Karats Surf is a high street retailer from Japan and uses 1,693 square feet. 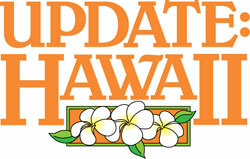 The developers are also in negotiations with potential retailers for space ranging from 967 sq. ft to 2,557 sq. ft. Designed by local architecture firm, Eight Inc., the design of 280 Beach Walk emphasizes Waikiki’s sensibility to pedestrian scale through a carefully crafted architecture that celebrates a strong connection between its use, context, and climate. The materials, proportions, and sensitive detailing are designed to provide an iconic architecture that truly belongs to the public realm.